Asmaløy is the island for botanists, ornithologists, geologists and naturalists. Not only does the island give you great archipelago experiences through its large network of hiking trails, it also ooffers a rare species richness of plants, birds, butterflies and dragonflies. 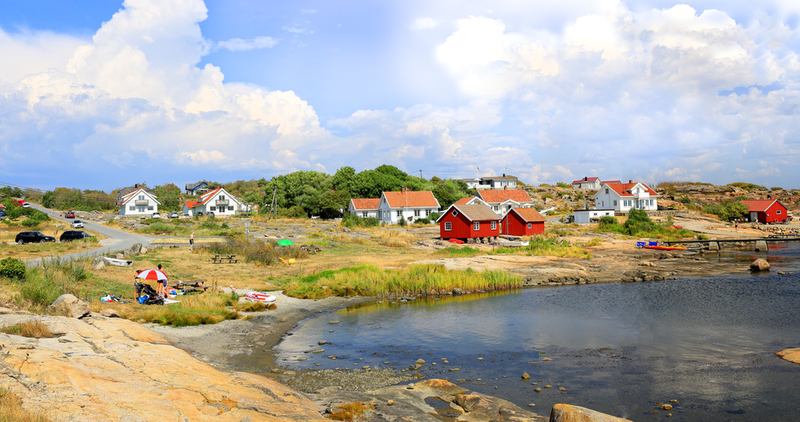 Of all the Hvaler islands, is Asmaløy the one island with the largest continuous areas of coastal heath. 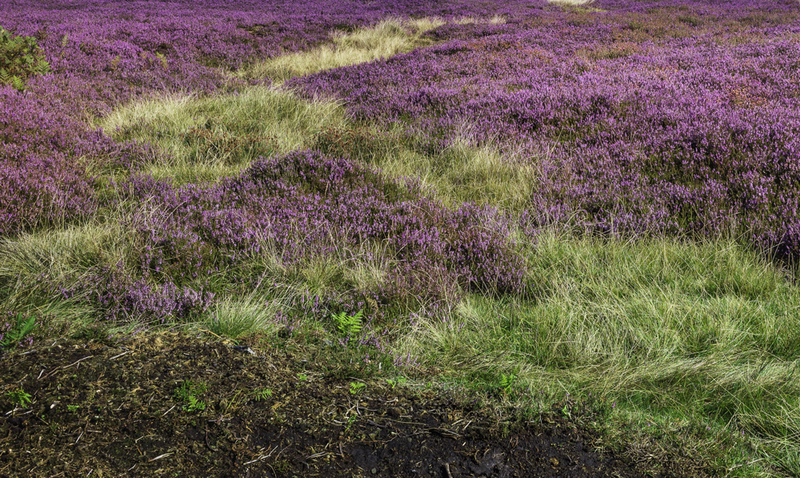 Here you can walk on purple blankets almost like fields of lavender. Listranda Camping is located by the sea on the island's eastern side. Asmaløy is a good starting point for hiking. You have lots of opportunities for walks on the narrow woodland paths running around the island. The coastal path on Asmaløy starts at Åsebu by Hvaler's main road. From here the trail continues along the idyllic Asmal sound and down to Brattestø where we find the first attraction on the trip, the Pikesten Lighthouse. The trail continues past Pikesten and further soutwards. Here is a wonderful public area with lush meadows, coastal heathlands, pebble rocks and one of Hvaler's longest continuous polished rock areas. The south-western side of Asmaløy is a gold mine for those interested in botanical or geological rarities. Bring a book on flora as well as one about birds! Here are particularly many flowers in early summer. If you are lucky, you might find the very rare Honey Flower. 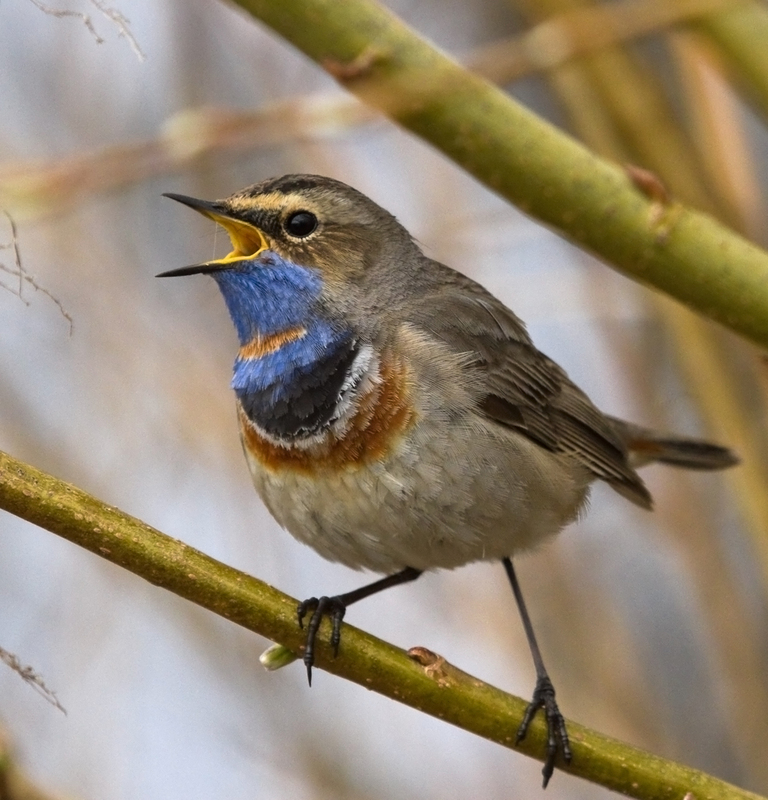 The bluethroat is a small passerine bird that was formerly classed as a member of the thrush family Turdidae, but is now more generally considered to be an Old World flycatcher, Muscicapidae. The icterine warbler is an Old World warbler in the tree warbler genus Hippolais. 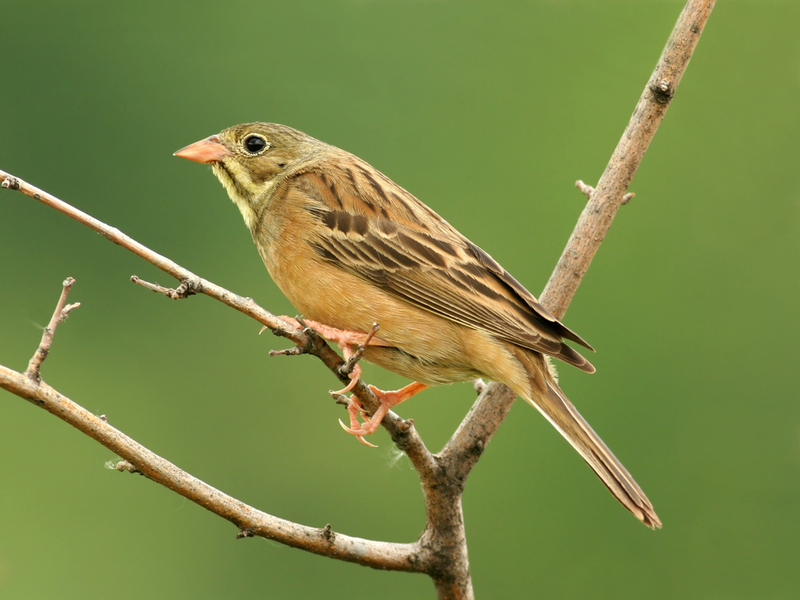 It breeds in mainland Europe except the southwest, where it is replaced by its western counterpart, melodious warbler. 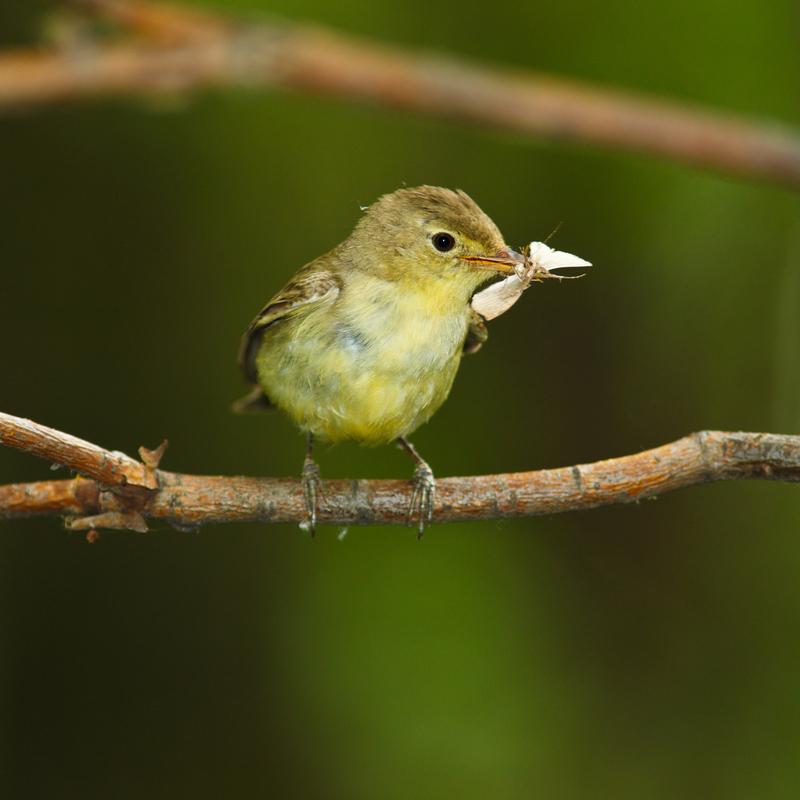 The willow warbler is a very common and widespread leaf warbler which breeds throughout northern and temperate Europe and Asia, from Ireland east to the Anadyr River basin in eastern Siberia. 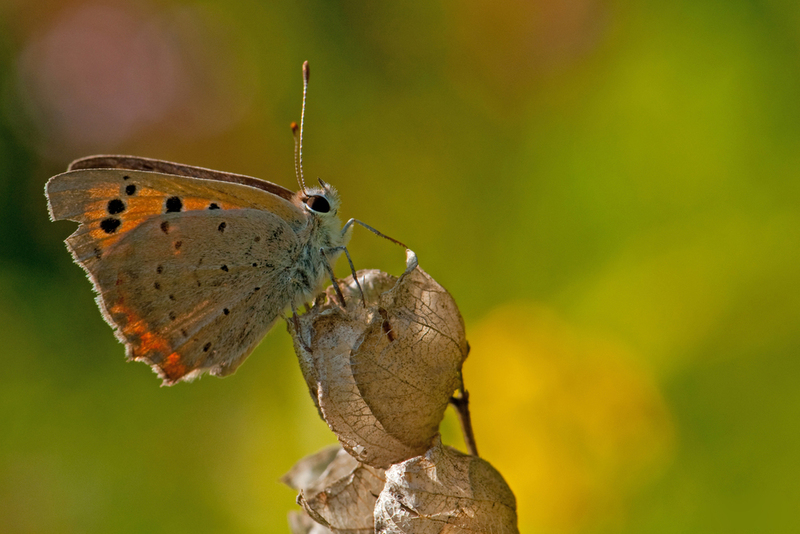 The Chequered Blue Butterfly,Scolitantides orion, belongs to the Lycaenidae family of gossamer-winged butterflies. 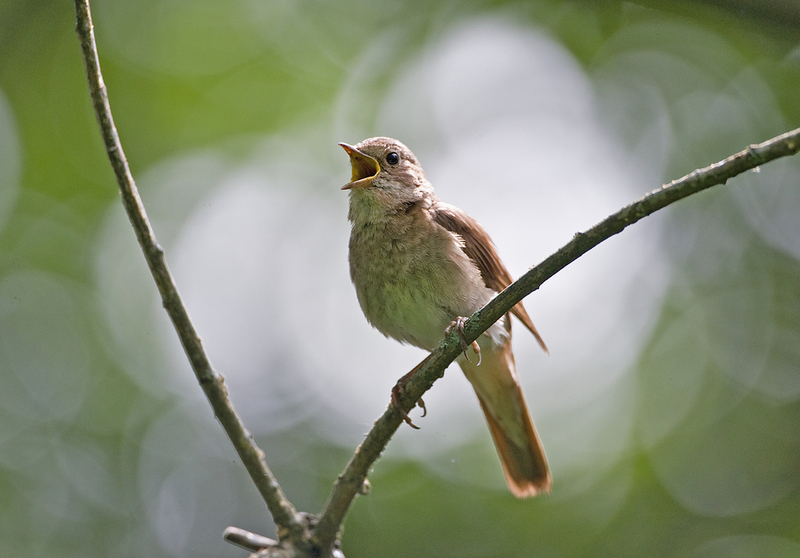 The male is 13 to 16 mm, and flight takes place in July. At Pikesten and Svarteberg traces after the Ice Age are particularly significant. The outer moraine is visible with huge amounts of pebble. Among the rolling stones are many different types of stone, not just granite, because the ice transported stone over large distances. Hvalskrottfjell and scraping stripes indicate the direction of the ice movement. Vi proceed over the polished rocks at Svarteberg and eventually meet a fenced-in area with its own gate. You are allowed into this rare and beautiful beach grassland. This is Skjellvik and Huser Beach Grasslands. In the Skjellvik-Huser area there are protective measures taken to safeguard the open and wonderful beach rock landscape on the waterfront. The area is undergoing a strong growth of too much vegetation. It is therefore necessary to take measures to prevent overgrowth. The Skjellvik and Huser area on south-western Asmaløy is the area in Østfold with the most endangered and vulnerable plants. Grazing the area will keep the vegetation down and contribute to safeguarding of rare plant communities dependant on harvesting or grazing on non-fertilized land. Much of the scrub and three vegetation will be cleared. Heifers, sheep and horses will graze the area.The animals are not aggressive, but they may be curious. Traffic in the area is allowed. Because of grazing animals and wildlife in general, remember to keep dogs on mandatory leashes. Please also remember to close the gate! Hvaler municipality hopes this measure will lead to enriching the area, and asks for for understanding that traffic must be conducted with regard to grazing animals. Fencing of the area is part of the management plan for Ytre Hvaler Nasjonalpark (Outer Hvaler National Park). Of all the Hvaler islands, is Asmaløy the one island with the largest continuous areas of coastal heath. The sand beach on brattesø is a nice and family friendly beach. Follow the trail across the beach meadow on the north side of Skipstadkilen. By Huserstøet you pass a shipwreck that triggers the iganiation of both children and adults. Follow the shoreline and eventually the trail past Skipstadkilen and Vikerkilen. They are both shallow bays with a very rich birdlife. After Vikerkilen you move up on Vikertangen. From the highest point on Vikertangen is a nice view to the north, across the polished rocks and to the south across the ocean. Asmaløy is a wonderful place for outdoor activities. The terrain at Vikertangen consists of outcrops with crevices and rocks. The former military area here is not fenced, but has a bulding and a radar mast, Vikertangen Radar Station, managed by Kystverket (The Norwegian Coastal Administration). Two girls fishing for crabs. The surrounding areas are owned by the state. A tempting area for sunbathing and fishing. On the outside of Vikertangen is the popular Skinnarholmen. Here it is nice to swim from the shore. We need a boat to get out to the islet. Also take particularly notice of the beach on Skinnarholmen. It is totally blue with mussels.The name stems from back in the day when a "skinner" lived here, a craftsman working with fur and skins. Behind the radar station the trail turns east and we arrive at Vikerhavn. Here is a good harbor with a breakwater an a mix of all-year and summer houses. The houses are well situated in the barren landscape, and it's nice to just stroll along the gravel roads here. The landscape here is open and beautiful. The area at Vikerhavn is characterized by rocks with low and scattered vegetation, thus enabling you to have a great view of the ocean. From Vikerhavn you can retrack your route back to Brattestø or take the path leading further inland, and at the same time being no farther from the shore that you can occasionally get a view of the ocean and beach areas. This is also a great hike! Spjærøy is the smallest of the islands with a permanent road connection. 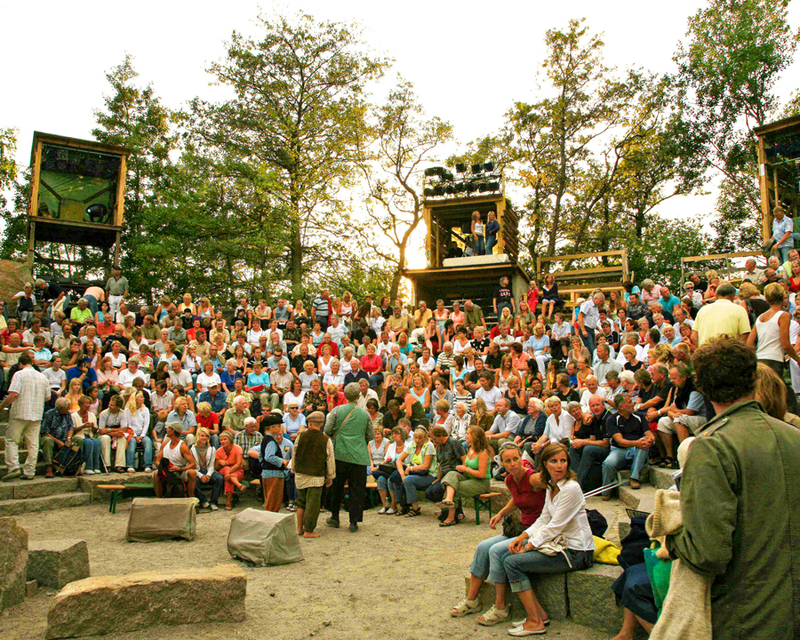 Despite the island's modest size, it offers rich cultural and outdoor activities. You will find Kystmuseet ( The Coastal Museum) here, showing Hvaler's hisory, both on land and at sea. 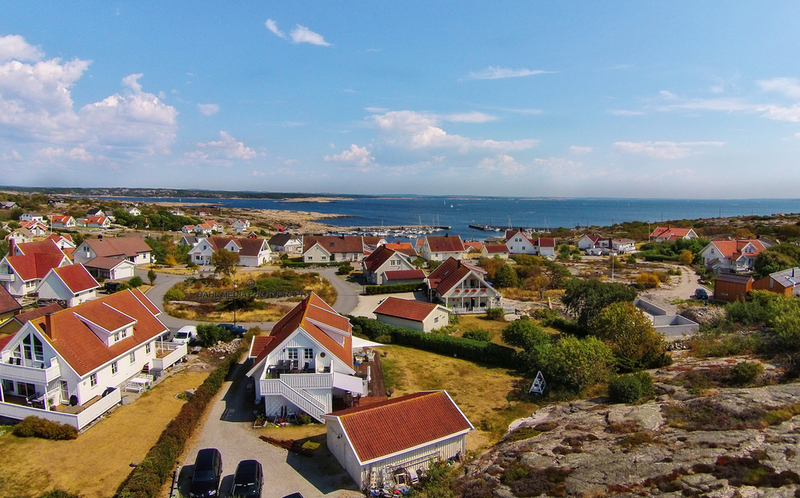 Up until the 1800’s, agriculture and fishing were the main industries on Hvaler. Soon after the stone cutting industry arrived. 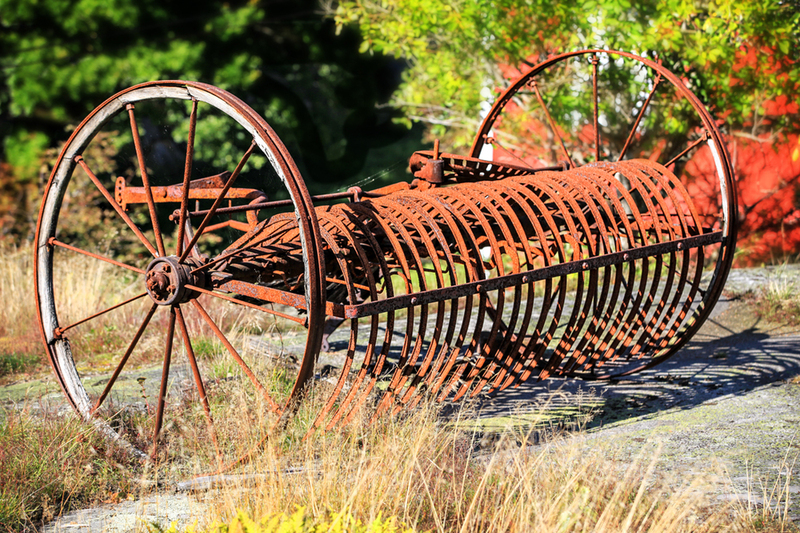 What kind of impact did this industry have on the Hvaler islanders? Find out more about the fisherman, the stonecutter or just take a walk in the beautiful garden filled with apple, pear and plum trees. 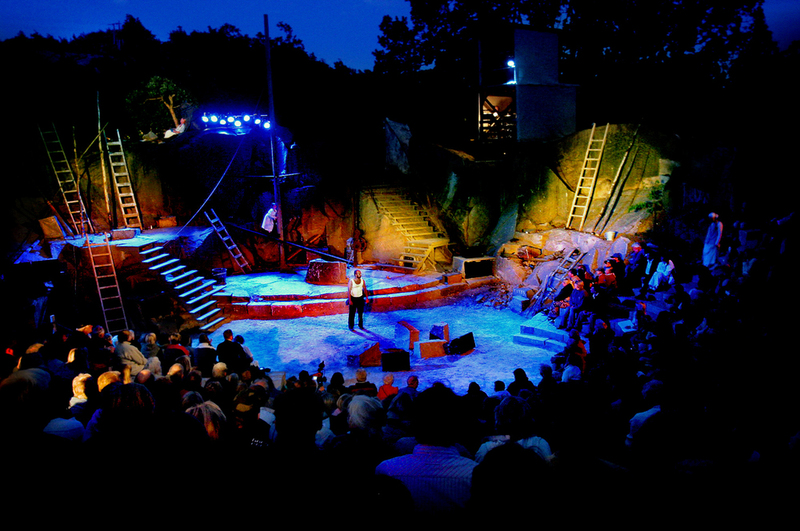 The amphiteater "Brottet" incorporates Hvaler's history in their performances on summer evenings. The scenery is magical, and a road trip on the Dypedal road turns into a wonderful and unforgettable experience. A trip by boat or kayak in the idyllic Skjelbu sound is also something you should try. Except Sand Marina there are no no permanent shops or cafes on Spjærøy, but this is rarely any problem with the short distance to Vesterøy or Asmaløy. Hvaler Campground is located near Highway 108 - the last road to the right just before the bridge that runs over to Asmaløy.